A good hunting knife is an essential part of any hunter’s equipment. It ensures that you are able to properly skin and remove the meat from your catch without ruining anything or leaving anything behind. However, because hunting has become more popular, the hunting knife industry has begun to boom, making it hard to know exactly which knife is best for you. Hunting knives come in a variety of different shapes, sizes, and styles. The quality will vary substantially based on who you purchase a knife from and what style you select – whether it is a custom knife, an old style knife, or a new Kershaw hunting knife. Knowing which knife to choose can be a daunting task. Most traditional hunting knives are made of stainless steel. These knives will last a very long time and provide a surface that can be accurately and repeatedly sharpened for the best possible blade. You will have two choices for your hunting knife’s style in most cases, either fixed blade or folding blade. Fixed blade hunting knives are stronger and more durable. They cannot be moved and usually have a shield of some sort to protect the blade while it is placed on the hunter’s belt. 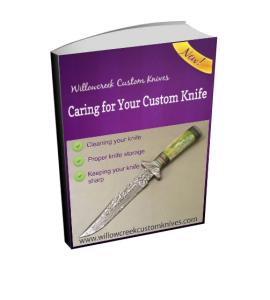 These knives will cost you more money in most circumstances because they are usually hand crafted and from better materials.